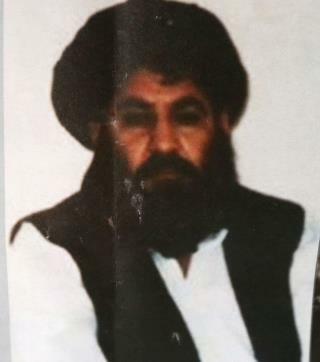 (Newser) – A DNA test has confirmed that Afghan Taliban leader Mullah Akhtar Mansour was killed in a US drone strike, Pakistan's interior ministry said Sunday, as the family of a driver killed in the strike sought legal action. On Sunday, the family of Mansour's driver—identified as Mohammed Azam—filed a police case against unknown US officials, seeking to press murder charges against them, police officer Abdul Wakil Mengal said. The family maintains Azam's innocence, and describes him as the sole breadwinner and a father of four. They say they want justice. The identity of the US officials involved in the drone strike is unknown, reports the AP, and it was unclear if the charges will relate to those who ordered the attack or the US servicemen who carried it out. Azam's family may be seeking a trial in absentia and a symbolic victory or they may attempt to push for compensation. just when you thought you----- or am i on onion? Judge, jury, and executioner; all wrapped up in one POTUS. Who gave the U.S. the moral right to execute anyone they choose, anywhere in the world? Actions like these do not make me safer as a citizen traveling outside the U.S..